To increase the (financial) yield of Spanish farmers on low-yielding rainfed soils, a EU LIFE+ project ‘Crops for better soil’ was initiated. The aim was to improve the soil itself by applying several agronomic measures and by better understanding the soil. 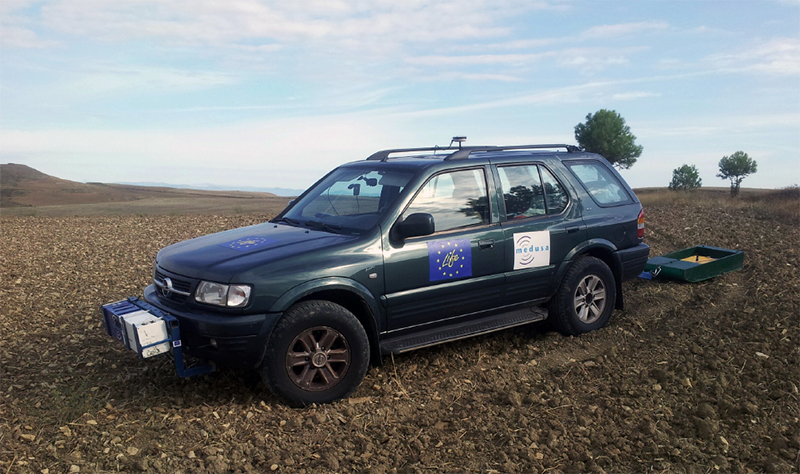 To this purpose Medusa developed an efficient and effective soil sensing system on a 4×4 car to be able to measure >100 fields, 300 ha throughout the north of Spain in 3 weeks. To map the clay content of the soil an MS-4000 gamma-ray spectrometer was used. The set-up used, contained a MS-4000 gammaspectrometer and GPR. This proved proved to be a robust, effective and efficient soil sensing platform, mounted on a 4×4 car. The data acquired in the field provided a useful means of communication between measurement crew, agronomists and farmers. The farmers recognized the patterns in the fields as shown by the geophysical maps from their own experience in working with these fields for many years. This improved their support for soil sensing and improved the discussion between agronomists and farmers about the differences between and within their fields. By semi-quantifying and mapping the farmers’ experience soil sensing opens the door to a better understanding of their soils and perhaps the use of more advanced precision farming methods. The combination of soil sensing, soil sampling, the use of ancillary open data and expert knowledge enabled the (semi-quantitative) derivation of many soil parameters including an indication of soil quality. The use of ancillary data was crucial for the correct interpretation of sensor data. 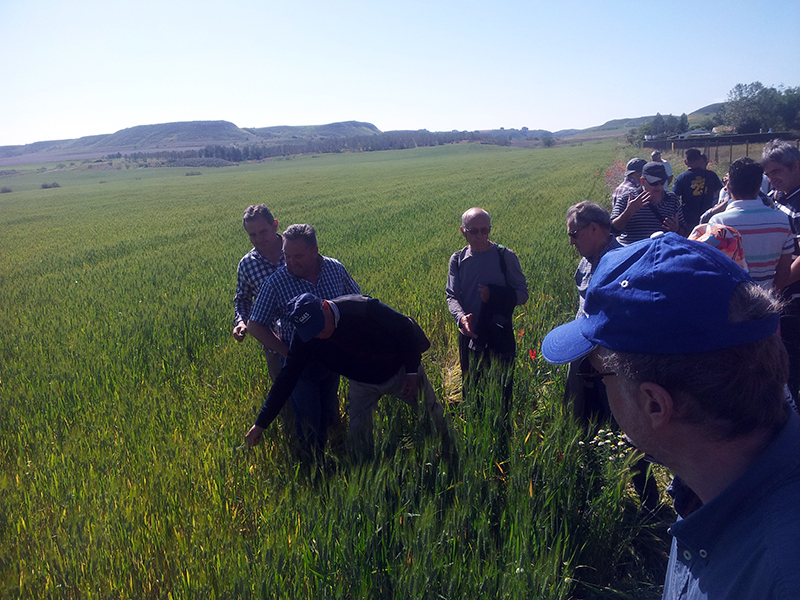 Spanish farmers recognized the patterns in the fields as shown by the geophysical maps from their own experience in working with these fields for many years. Measurement setup with a gamma ray spectrometer in front of the vehicle and GPR behind in a carriage the vehicle.